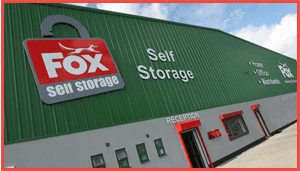 If you’re looking for a reliable removals company in Newport that you can trust, then look no further than Fox Moving & Storage. With years’ experience in the planning, management and delivery of household possessions, we are the UK’s premier choice when it comes to home moving in and around Newport. Whether you are located in Newport or elsewhere in the UK, our skilled and dedicated team of professionals can take away the stressful burden of your home move, so you can rest safe in the knowledge that your items will arrive to your destination safely. Our home removals team will ensure that your belongings are tracked every step along the way, right from the initial pick up, all the way to their final destination. Whilst your items are in transit, you can rest safely in the knowledge your your valued possessions are being handled by members of The British Association of Removers (BAR), whilst our expert team comply with the BAR’s Code of Practice – an Office of Fair Trading-approved framework. Put simply, with Fox Moving & Storage your items are in safe, professional, industry-approved hands. 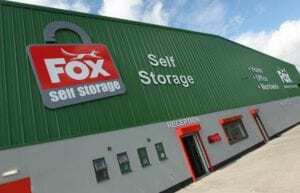 Fox Moving & Storage are experts in both domestic and commercial removals, in Newport and beyond. What truly sets us apart from other removal companies, however, is that each and all of our customers will benefit from their own personal move coordinator, who will carry out a pre-move survey of your home/commercial premises beforehand. During their visit, our expert move coordinator will be able to advise you on everything you need to know to ensure a smooth, hassle-free home move experience, from the initial packing and collection, all the way to the delivery and unloading of your possessions. Our helpful coordinators will also provide you with everything you need to know concerning estimated timescales of delivery and any necessary insurance. Fox Moving & Storage strongly believes in transparency, which is why we will always provide you with a clear, detailed breakdown of any costs involved. We don’t hide behind complicated terminology and vague quotes; before you decide to use our services, we will always issue you with a fully detailed quote so that you can see exactly what our services will entail and how much you will actually pay for them. Dismantle and re-erect workstations, desks and racking. Lift heavy machinery and items. Plan your office layout for optimum space. Offer a worldwide, full-shipping service. Whether you’re looking for Newport removals to a premises in and around the city, elsewhere in Wales or even to a far-flung international destination, Fox Moving & Storage is the UK’s premier removals company. Why settle for removal companies that lack the knowledge and professionalism? Contact our ISO-approved, fully compliant staff today and find out more about how we can offer you a truly bespoke, tailored moving service for your home or business.